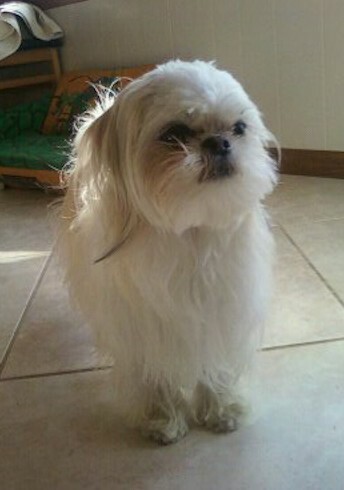 Kikko the Jatzu (Shih Tzu / Chin mix) at 5 years old—"This was the best dog I have ever owned! 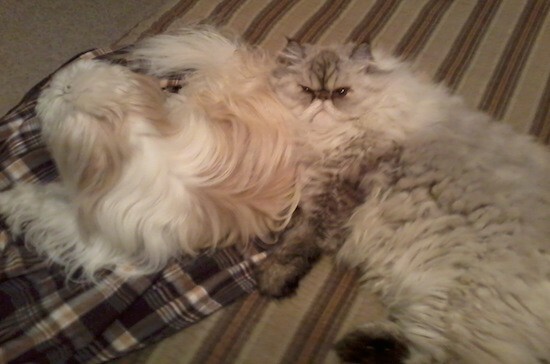 Shih Tzu's are known for getting along well with cats but unfortunately known for being "stocky" in bone structure and therefore become less athletic as they age. With the mix of Japanese Chin, their bone structure is lighter and more athletic. 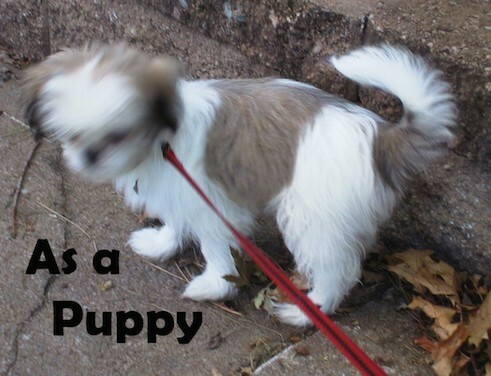 They joyfully run and jump but have that way-cute appearance from the Shih Tzu breed. They also have a nice lower toned bark (while not barking too much) they will bark and talk to you (if you know what I mean)! Maintenance wise, I always keep the head in a puppy cut. It's easy and so cute!" The Jatzu is not a purebred dog. 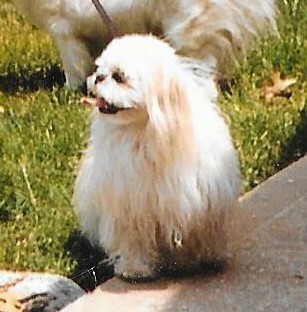 It is a cross between the Japanese Chin and the Shih Tzu. The best way to determine the temperament of a mixed breed is to look up all breeds in the cross and know you can get any combination of any of thecharacteristics found in either breed. Not all of these designer hybrid dogs being bred are 50% purebred to 50% purebred. It is very common for breeders to breed multi-generation crosses. 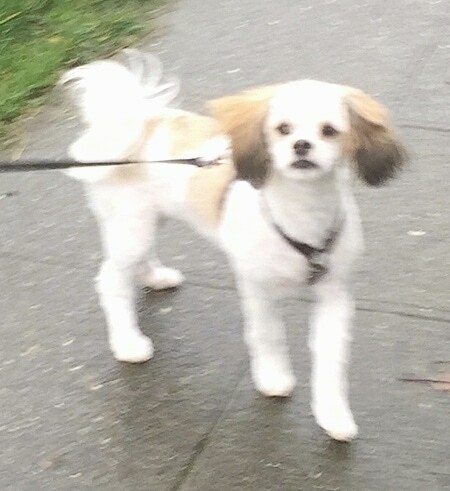 Jack the Jatzu (Shih Tzu / Chin mix) at 7 months old. Luckily Jack has not inherited the big underbite commonly found in the Shih Tzu breed.